“ISIS has been defeated!” – the SDF, the military alliance of local Kurds, Syriac-Assyrian Christians and Arabs has announced. “We successfully completed the operation ‘Jazeera Storm‘. The operation included the siege and elimination of the terrorist organization of ISIS in the town of Baghouz, ISIS last stronghold, thereby ending the reign of terrorism, stained with the blood of innocents. 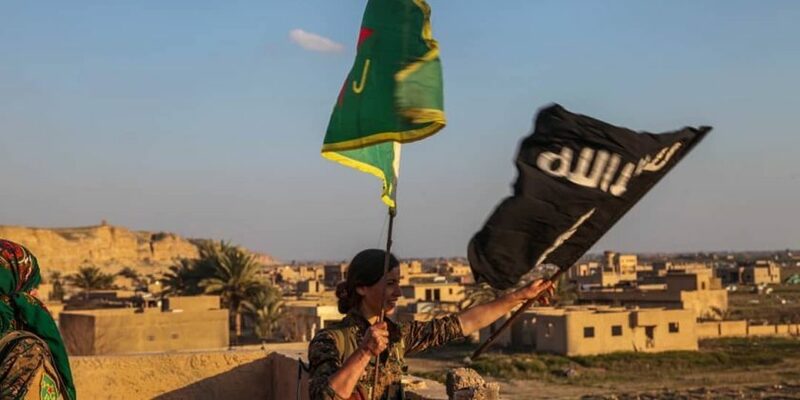 ISIS has taken its last breath and its bloody legacy, complete with horror stories and terrible crimes against humanity, has been eliminated “, the Christian component of the SDF, the Syriac Military Council, said. The official announcement was anticipated by the White House on Friday. The IS “territorial caliphate has been eliminated in Syria,” White House press secretary Sarah Sanders told reporters aboard Air Force One. Russ Travers, the deputy director of the National Counterterrorism Center, estimates there are about 14,000 ISIS fighters still in Syria and Iraq. They remain armed and have carried out recent attacks such as the January suicide bombing in the northern Syrian town of Manbij that killed at least 16 people, including four Americans. What’s more, ISIS’ ideology remains potent and continues to inspire attacks in Europe and Afghanistan. It’s unlikely there is a command structure directing terrorist attacks around the globe, but local groups identify as ISIS. The mission of the SDF in North and East Syria is not finished yet. They have to continue by pursuing the remnants of ISIS, its sleeper cells, and to eliminate their mentality of terrorism.